Tenant occupied unit, lease until September 30th 2014 but they would like to stay. Paying $725 a month. 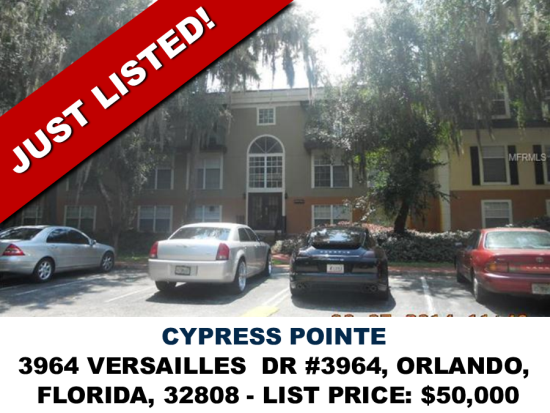 This gated community has many amenities including play area, walking trails, putting green, car wash area, club house and swimming pool.Located in the Cypress Pointe Condominiums community this 2nd floor unit is very spacious with tile throughout and carpet in the bedrooms. The over-sized balcony offers views to Lake Orlando. With community features including a large swimming pool, tennis and basketball courts, playground and BBQ grills this is an excellent opportunity for a residential or investment buyer.